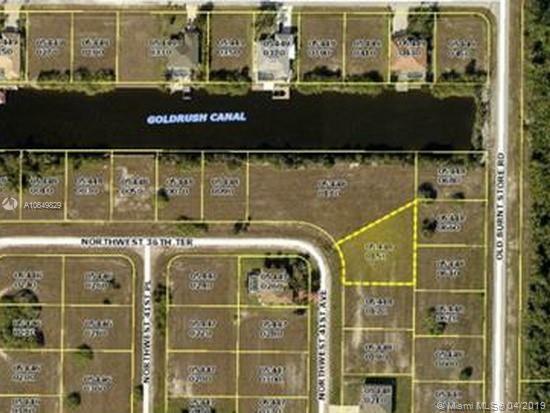 VACANT LOT IN CAPE CORAL , IN GROWING COMMUNITY. PERFECT LAND TO BUILD YOUR DREANM HOME AND ENJOY BEAUTIFUL FLORIDA. NEAR SEAHAWK PARK, NORTHWEST SOFTBALL COMPLEX AND BURNT STORE BOAT RAMP. Equal Housing Opportunity. The details on 3549 NW 41 Ave: This land located in Burnt Store, Cape Coral, FL 33993 is currently for sale for $23,000. 3549 NW 41 Ave is a – square foot land with – beds and – baths that has been on Estately for 6 days. 3549 NW 41 Ave is in the Burnt Store neighborhood of Cape Coral. This land is in the attendance area of Mariner High School, Mariner Middle School, Hector A. Cafferata Jr Elementary School, Diplomat Middle School, Diplomat Elementary School, Caloosa Elementary School, Caloosa Middle School, Tropic Isles Elementary School, North Fort Myers High School, and Hancock Creek Elementary School.